We continue to expand our video library on the Calculators website in 2018. Some of the most frequent questions we receive are on loop flushing. So, we're concentrating on flushing videos first. This month, we've added two videos, one on flushing concepts, including reducing headers, and one on the features of the Geo-Flo flush cart. The next video will include flush cart operation. After reviewing the videos, you may want to know more about the Geo-Flo flush cart (see photos, below). 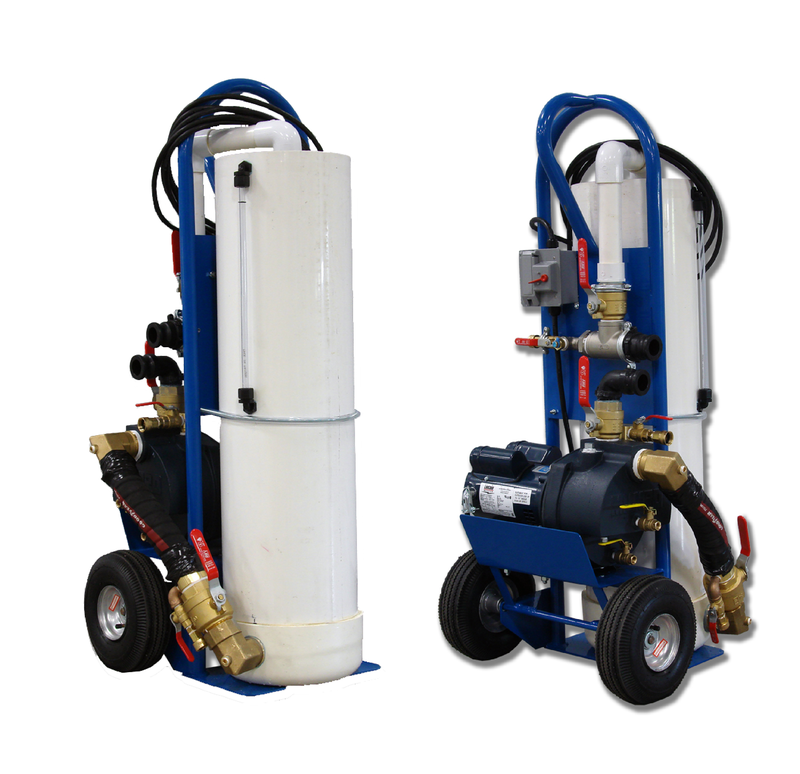 As the only ETL listed flush cart in the industry (listed to UL 778), it has features that are unique, and that meet ASNI/CSA/IGSHPA C448 requirements for flushing geothermal closed loop systems. Geo-Flo flush carts are available through most geothermal heat pump manufacturers and through Geo-Flo distributors. For more information, contact your heat pump manufacturer or distributor, or review the submittal. Don't forget about the International Ground Source Heat Pump (IGSHPA) Association Conference in sunny Orlando, March 27 to 28. Now that the tax credits have been reinstated, you'll want to learn as much as you can. We hope to see you there!